Simply Be began its journey long ago with the intention of bringing the best in fashion to the much neglected plus-size customer. Nowadays Simply Be is an industry leader in plus-size women’s clothing, where ladies with curves no longer have to feel left out by modern fashion. Simply Be offers many of the top brands in addition to a number of specialist brands, so that you can look as good as you feel. Every item of clothing is hand picked by experts and goes through a rigorous quality test by Simply Be buyers to ensure that only the best in style, excellence and functionality, make it onto the website. 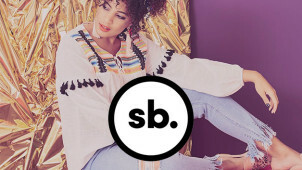 To see how awesome you could look, take a trip over to Simply Be’s much followed Instagram account where you can see some of its clothes, swimwear, shoes, lingerie and accessories in action! Looking good can’t wait, which is why Simply Be is happy to offer a number of different finance options when ordering its clothes and other products. How do I use my Simply Be promotional code? Enter your email address into to Simply Be’s newsletter box and get news on new product ranges, deals and special discounts! Does Simply Be offer a catalogue? Yes, click here to leave your address and you will be sent a free catalogue. Do I have to sign for a Simply Be delivery?? If you are not there to receive the delivery the courier will leave the goods in a safe, dry location. If this is not possible contact details are provided to rebook the delivery. Will Simply Be send me an email confirmation? Yes, within 24 hours you will receive an email confirmation. If you do not please contact Simply Be. You may cancel and receive a full refund if you inform Simply Be of your decision by the 14th day after receiving the item. Simply Be is a clothing retailer dedicated to providing fashion for curvy and plus size women that is both affordable and convenient. Use our Simply Be discount code and be wowed by the breadth and quality of Simply Be’s different ranges, that are designed to flatter whatever your style or clothes size. With shoes, lingerie, swimwear or activewear categories, Simply Be is the place to go for curvy women! An outfit is far more than just something that covers your top half and bottom half; accessories exist to provide function, and more importantly, an accompaniment that brings out the best in your clothing. Visit Simply Be’s accessories section for superbly designed and effortlessly stylish bags, bangles, bracelets, earrings and more. With an impressive roster of brands, you’re guaranteed to turn heads festooned with your stunning outfit and accessories. Nothing is refreshing as heading down the beach on holiday and going for a quick swim in the warm seas of the Mediterranean. Use our Simply Be promo code and pick a swimsuit or bikini that will emphasise your figure and flatter your form, all at a price that you can afford. Why not follow it up with a kaftan or sarong; ideal for slipping on and off between dips?